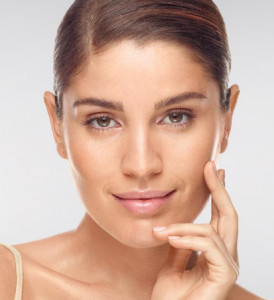 Proper routine and regimen for dry facial skin care. There are a few factors in which can cause your skin to feel and look dry. 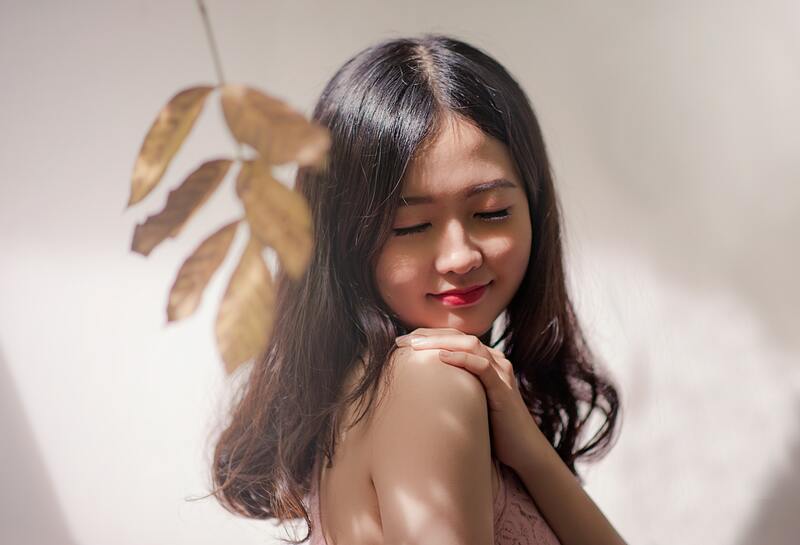 Such as not eating enough foods with good oils, not drinking enough water, weather change, medication, too much coffee, smoking, recreational drugs and alcohol and even the water we use to shower can be harsh water causing your skin to dry. As you can see many factors can cause your skin to get dry. Dry skin causes premature ageing such as fine lines which make you look older and even make your skin look dull and lifeless. Using incorrect skin care products can also cause your skin to dry. 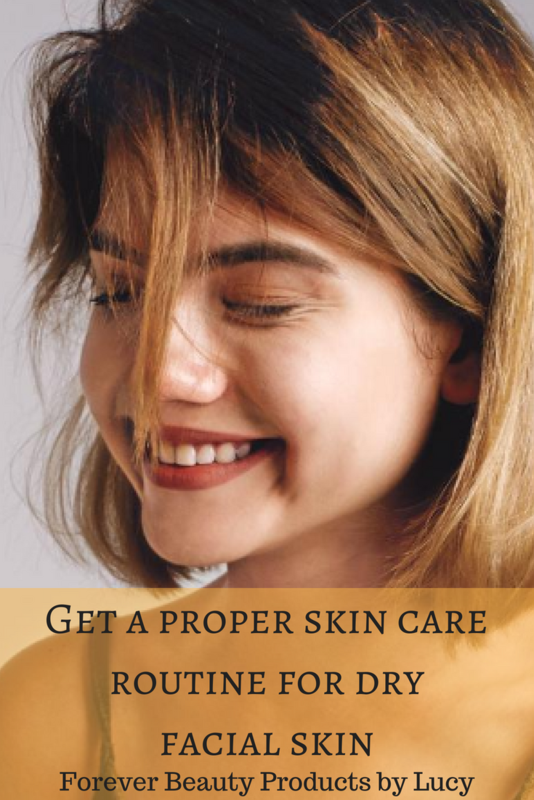 That’s why it’s so important to have the proper dry facial skin care products and a proper daily dry facial skin care routine to keep your skin looking healthy, smooth and supple. You might think you are too young to start a skin care regimen. The truth is you are never too young to start caring for your skin. In fact, the sooner you start a daily skin care routine the better. With the right regimen, you begin to protect your skin from sun damage and other elements that can cause early signs of ageing. Food: Eat more good fatty foods, such as salmon, avocados, cook with olive oil you can even drink a teaspoon of olive oil one to two times a week. Add white cheese to your diet and eat plenty of nuts even adding greek yoghurt helps. Coffee: For every cup of coffee drink two cups of water. Alcohol: For every two alcoholic beverages you should drink a 16 oz. water bottle. 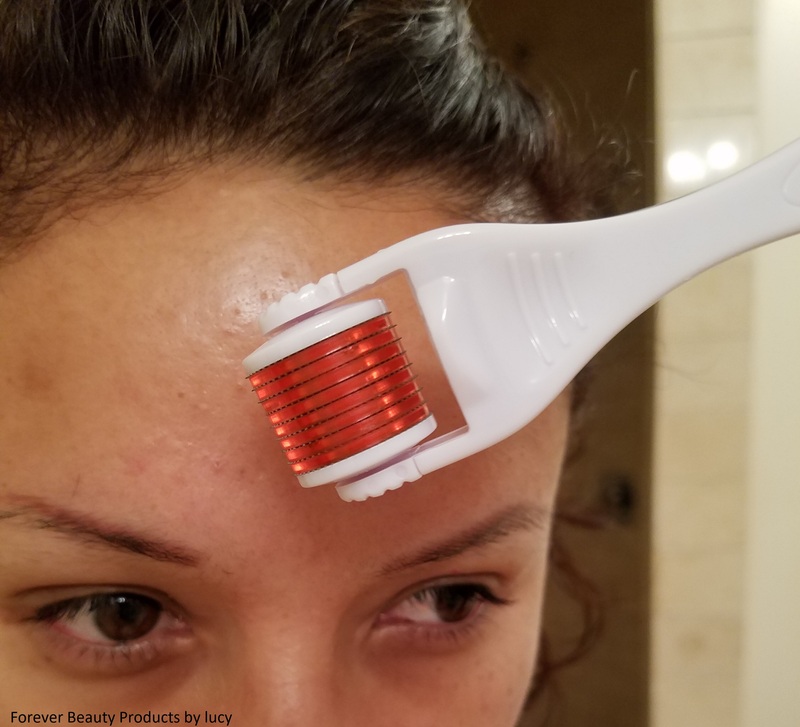 Not only will it keep your skin looking good but it will keep your body hydrated and help alleviate the headache that follows the next day. Smoking and recreational drugs: Just don’t touch them. But if you must, for smoking well no amount of water will make a difference. With rec drugs the same thing as smoking. You decide on that one. Medication: For medication add two more water bottles a day. It will help flush the medication out of your body sooner. If your skin feels itchy or gets red when you get out of the shower; you might have hard water in your homes water system. Adding a water softener or even a shower head filter will really make a difference in your skin. Click Here for good shower filters. Now if your skin gets dry only when the weather changes then a moisture boosting serum will do the job. See below for my recommended products for dry facial skin care. Below I have written steps for a daily dry facial skin care routine and regimen. *All Avon Nutraeffects creams listed below are suitable for sensitive skin, hypoallergenic, dermatologist tested, dye-free, paraben-free and gluten-free. Every morning wash your face with warm water. Use Anew Clean Comforting Cream Cleanser this cleanser is wonderful for dry skin. 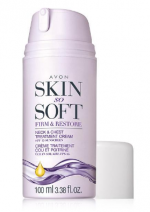 Its creamy formula helps restores moisture leaving dry skin feeling nourished and smoother. It reinforces skin’s protective moisture barrier, effectively cleanses the skin of makeup, dirt, oil and impurities. It also improves skin tone and texture while softening fine lines and wrinkles. Pat your face dry and wipe your face with a toner using a cotton ball or a face pad. I recommend Thayers Alcohol-free Rose Petal Witch Hazel with Aloe Vera. A toner will shrink pores, moisturize your skin and quickly restores your skin’s natural pH balance meaning your skin doesn’t have to work so hard to restore itself. Give the toner a few seconds to dry (do not rinse off). Next is the treatment for dry skin. Apply Anew Power Serum to face, eye area and neck. This serum hydrates your skin, smooths visible roughness and wrinkles, and returns firmness to your skin. It also boosts the benefits of your moisturizer leaving your face feeling smooth and hydrated. Another great choice to wear under your moisturizer is Olay Active Hydrating Beauty Fluid Lotion or Olay Active Hydrating Cream these two are awesome. They both restore hydration to reduce the appearance of fine lines and wrinkles and replenishes essential moisture. I would recommend the lotion during the summer and the cream during the winter. The difference between the serum and Olay (hydrator): A serum is highly concentrated with anti-ageing ingredients that correct or “heal” signs of ageing. 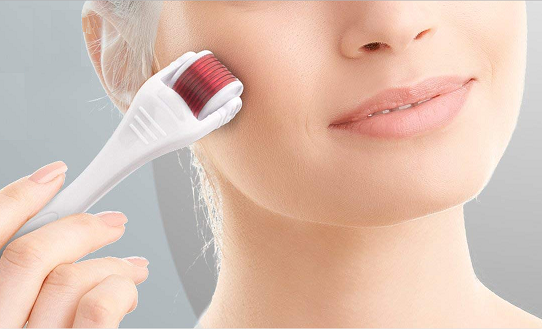 A hydrator just hydrates your skin without anti-ageing properties. You decide which one best suits your needs. All three work great for dry skin! Next, apply the proper day moisturizer. The following are great moisturizers. *Avon Nutraeffects Hydration Day Cream SPF 15 – Powered By chia seed which is known to hold 12x its weight in moisture, helps skin feel deeply replenished and helps support the natural production of collagen. It boosts skin’s barrier function to help protect it from the dehydrating effects of external elements like wind, cold and dry air. 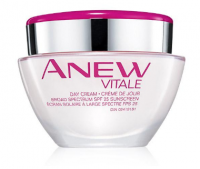 Anew Vital Day Cream Broad Spectrum SPF 25 is also a great one. It relieves skins dryness and hydrates skin instantly, immediately boosts skin’s hydration by 178% and helps revive the look and feel of tired skin, keeps skin looking vibrant, reducing dullness and improving clarity. During the season that your skin doesn’t get so dry, I would recommend using Anew Vital Day Lotion SPF 25 it’s not as thick as the cream. Now the eye cream, you want to use an eye cream that’s specially formulated for under the eyes if you use the face cream it might burn. I recommend *Avon Nutraeffects Ageless Eye Cream it’s mild, it keeps plumpness and helps support natural production of collagen. Your eyes will look rested. Lastly, a lip balm or a lip conditioner to keep your lips nourished, protected from the sun and looking soft. Now you are ready to start your day. If you use makeup you can put it on after step 6. Check out these links for makeup and makeup tips and Makeup Eyeshadow Tips. Every night wash your face with warm water and with your facial cleanser. Pat your face dry and apply the toner. Apply the treatment that best suits your needs (see below). Let the treatment soak into your skin before you apply your night moisturizer (do not rinse off the treatment). Now apply the night moisturizer. These are the ones I recommend *Avon Nutraeffects Hydration Night Gel, it keeps your skin hydrated during the night so your skin looks refreshed and supple in the morning. Anew Vital Night Cream helps renew and energize dull, overtired skin. Moisturizes skin to erase fine lines and make skin appear well rested. Next is the eye cream. 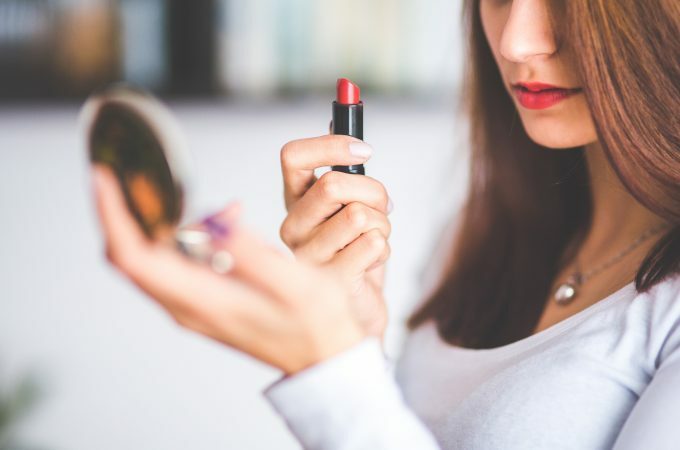 Moisturize your lips with a lip balm or a lip conditioner. You are now ready for bed. *All Avon Nutraeffects creams listed are suitable for sensitive skin, hypoallergenic, dermatologist tested, dye-free, paraben-free and gluten-free. To your daily skin care routine always apply your face and neck creams in an upward motion Click Here to watch a video on how to properly apply face and neck cream. To apply the eye cream gently tap on the skin below your eyes (white dots), below the eyebrow bone (gold line) and on the outer part of your eyes (gold dot). I really hope this post for dry facial skin care routine works for you.